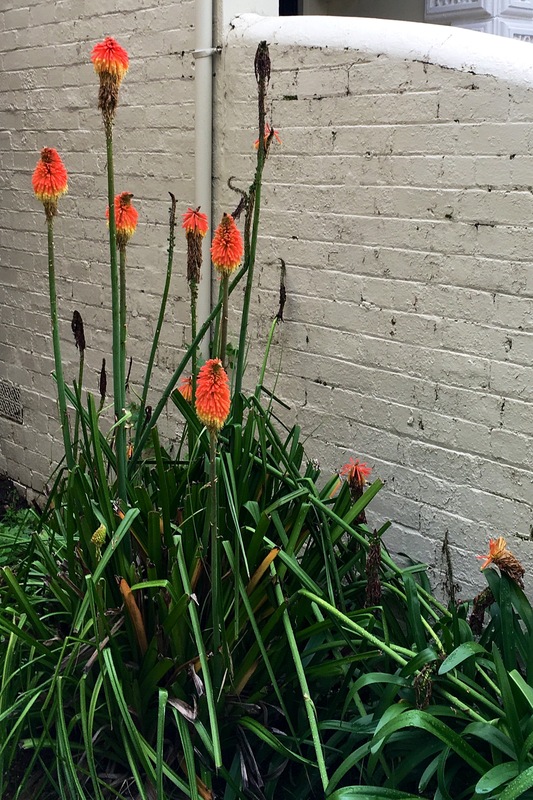 Kniphofia also called tritoma, red hot poker, torch lily, knofflers or poker plant, is a genus of flowering plants in the family Asphodelaceae, first described as a genus in 1794. It is native to Africa. All plants produce spikes of upright, brightly colored flowers well above the foliage, in shades of red, orange and yellow, often bicoloured. The flowers produce copious nectar while blooming and are attractive to bees. In the New World they may attract sap-suckers such as hummingbirds and New World orioles. Lovely – they are very popular here too.